Meet Yatin Vadhia, a Business Associate Intern working at our European Headquarters in Dublin, Ireland. Yatin is a Computer Science student attending the University of Surrey in the UK. When Yatin is not in front of a computer, you can probably find him target shooting, at the cinema or on a plane. When I was 10 years old, I was involved in a minor car accident on the way back from a tour of a beer factory on Christmas Day in India. Luckily, no one was injured. 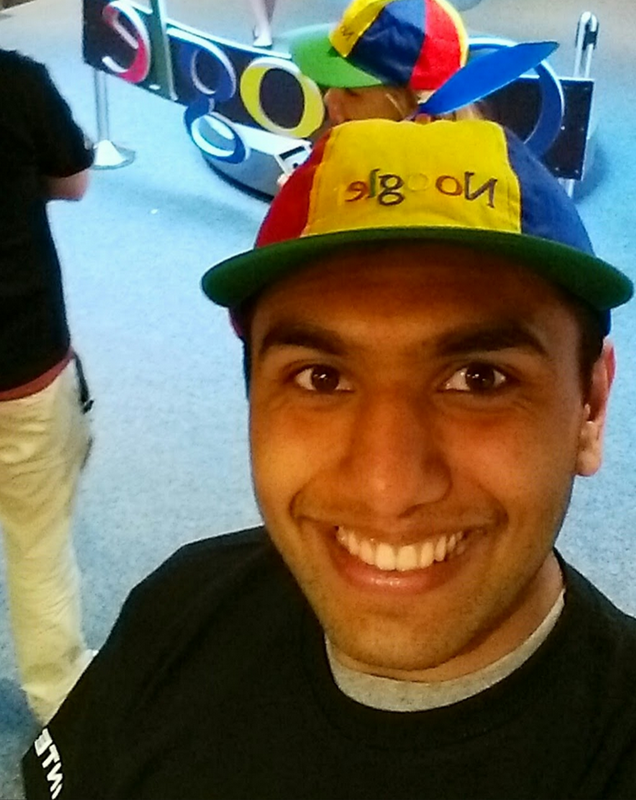 What inspired you to apply for this internship and what made Google appealing to you as a potential intern? I have always followed Google in the press quite closely and I've always felt that I would love working here. It was just a matter of finding the right opportunity! I saw the internship application window open and spent a great deal of time making sure that my CV was up to scratch. After I sent off my application, I nervously waited to hear back, but obviously it all paid off! More fundamentally, I believe Google is at the forefront of technology and tackles difficult and unanswered questions. Instead of asking "why," Google often asks "why not?" I am working within Product Quality Operations, which fights spam and abuse across Google products. The team I work on ensures that there is consistent policy enforcement on each product. As many of our products can be used in different ways, it is important that all cases are dealt with fairly and that users are treated equally. Another area I work on deals with User Escalations for Account Suspensions. When accounts are deemed suspicious and/or abusive, it is important that analysts use the correct information available to them to come to the right decision as to which action is taken against them. Sometimes, users will contact Google to explain what happened in order to get their account unsuspended. We make sure that these are dealt with urgently and explain why action was taken. They are super cool. My manager is always ready to give me advice and feedback and the rest of my team are really enthusiastic! We all really enjoy what we do and I think that helps a great deal. I’ve always believed that you have to enjoy what you do in order to be happy at work. Team lunches are regular and the diversity of my team (in terms of home country) is very impressive, too. The massage chairs and sleep pods are fantastic. There is also a well-being centre, which has a dentist and a general practitioner! The Nerf Guns are the icing on the cake. I would say the little things matter too. It took me about 3 weeks to realise that I took my shoes off (don’t worry, I kept my socks on) while at my desk because it was comfortable. I’m not the only one who does that, too! Being able to work on products and services that affect over a billion people. There are moments when a query is run over mind-boggling amounts of information, but thanks to the amazing infrastructure we have here at Google, it can take just a matter of minutes. A discussion involving the merits of pre-peeled bananas, for people that are too lazy to peel bananas themselves. It’s not really an event, but I am a fan of Game of Thrones and I organised a trip with some interns and Googlers to go across the border to Northern Ireland and see where the majority of the show was filmed. 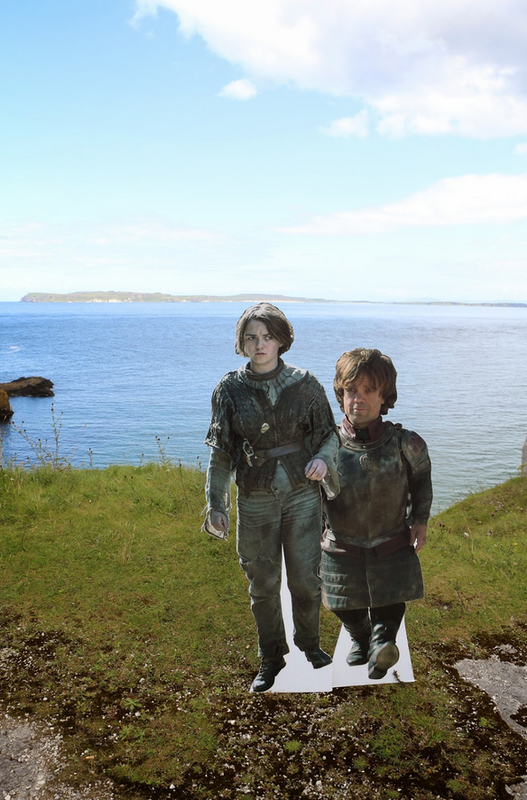 We all had a great time and even met (cardboard) Tyrion and Arya! 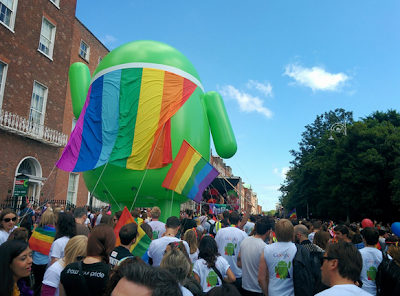 Also, I recently took part in the Google Dublin Ice Bucket challenge. Don’t be afraid to ask questions. Always say yes. Attend meetings and get involved with as much as you can. As an intern you have more leeway--you can ask questions that you probably couldn't get away with if you were full-time. People understand that you are still learning. Our interns have the opportunity to work on some of Google’s most cutting edge and innovative projects - not only in engineering, but across sales and other business functions, bringing a fresh perspective to the work done at Google. To show you just how much of an impact interns make and to highlight their unique experiences, we’re bringing you a special blog series: Google Intern Insights. Make sure to stroll through the blog to check out other interns who have been featured on the blog throughout the summer! Also, our technical internships for summer 2015 are now open! Apply here.